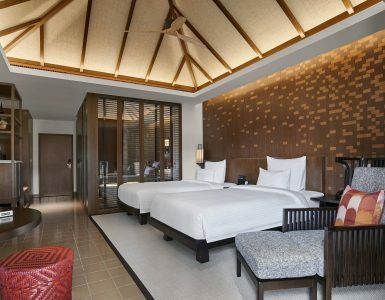 With lofty vaulted ceilings and streamlined design, these spacious 42sqm rooms redefine deluxe. The decor is sobre but the wow factor is strong. As is the Wi-Fi, which happens to be free. 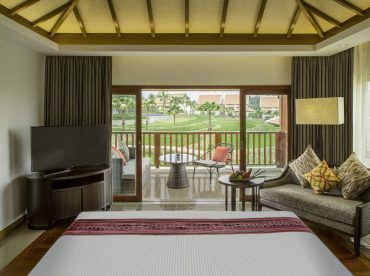 A furnished balcony looks out onto views of paddy fields, rolling hills and misty mountains. It’s an enviable spot for a room-brewed cup of coffee or tea at sunrise, or a drink from the minibar whenever thirst strikes. Ceiling fans and AC keep things cool during the hot months. Heaters keep things cosy when it’s cold. Check in, chill out. It’s as simple as that.